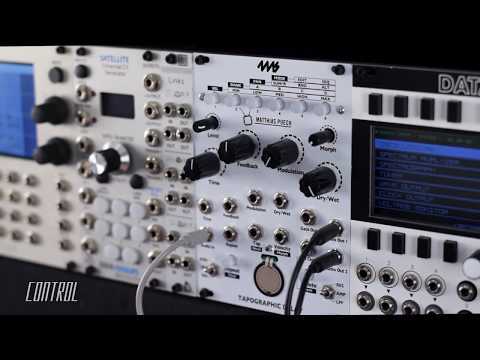 February 2018: New firmware available! 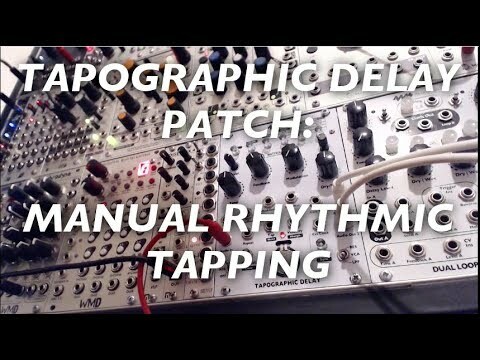 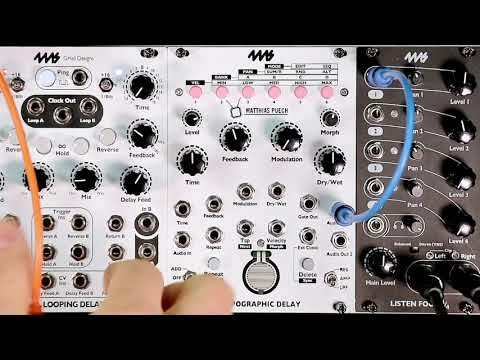 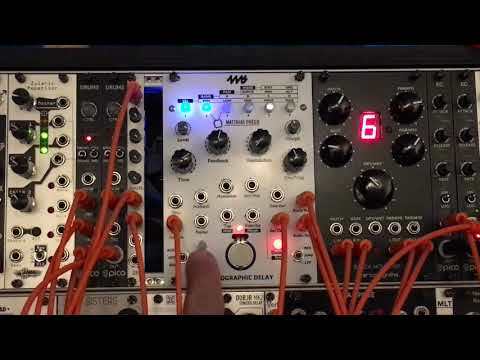 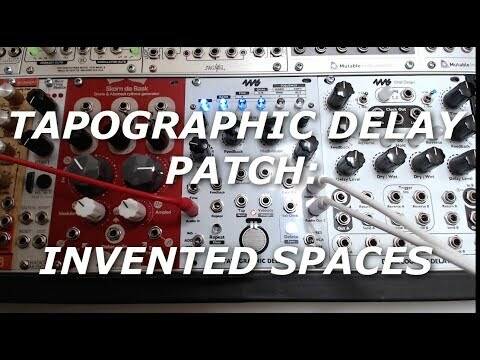 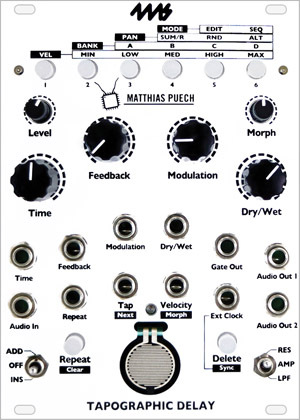 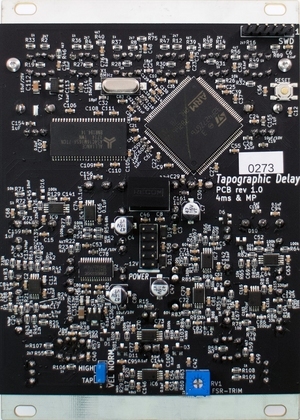 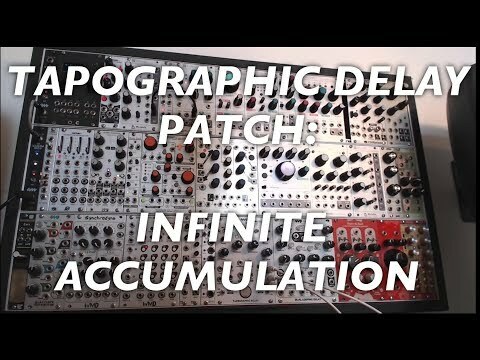 The Tapographic Delay, designed by Matthias Puech and 4ms Company, is a complex multi-tap delay in the Eurorack format with a unique interface designed for live performance. 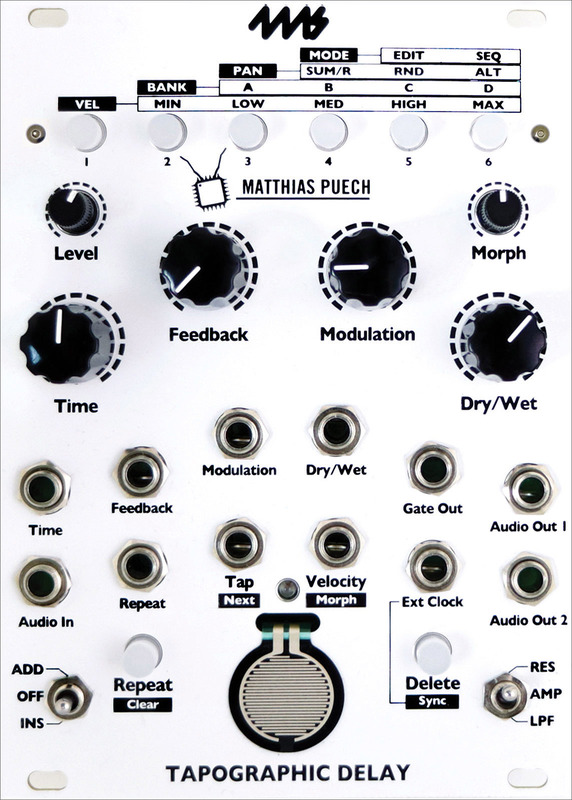 It excels at transforming the simplest audio (a drone, a percussive sound) into complex rhythmic structures, meshes of organic textures, lush harmonic mille-feuilles, liquid and resonant effects. 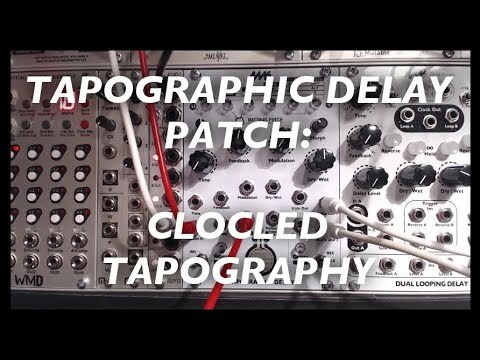 Have you ever got tired of the monotonous repetitions that your standard delay pedal/module produced? 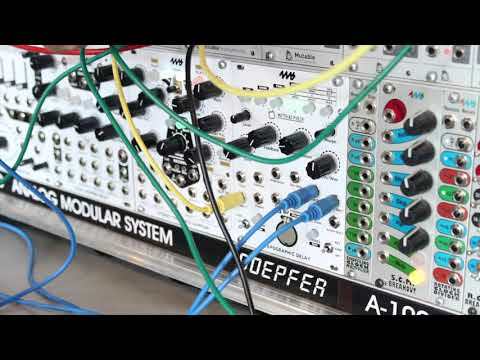 Have you ever wished for a more complex rhythmic structure than just decaying repetition? 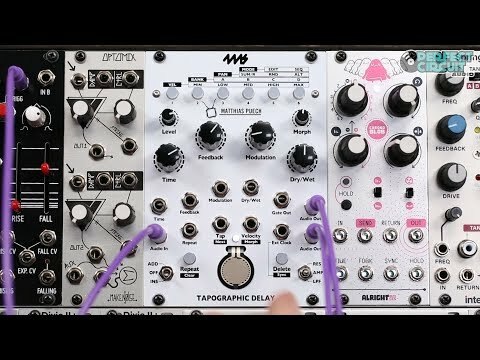 If yes, you have come to the right place: the Tapographic Delay is an advanced effect that lets you handle repetition in a completely novel way. It is to a traditional delay what a full rhythmic sequencer (with pattern recall, velocity control, tactile input) is to a simple clock. 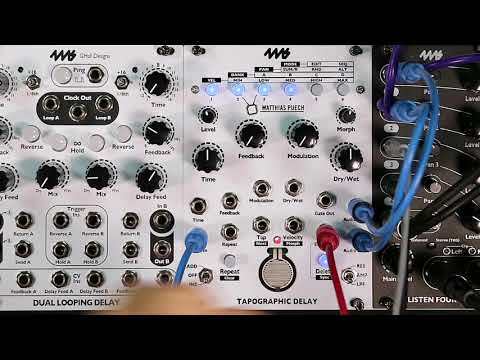 With the TD, you interactively define the rhythm that the repetitions will follow: a velocity-sensitive sensor allows you to record, edit, modify, and sequence your own arrangements of delays. 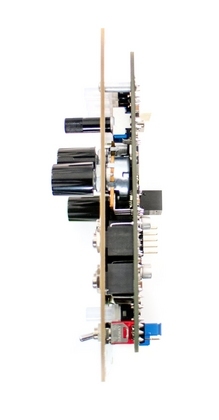 In a sense, the TD is the converse of the classic Frippertronics sound-on-sound setup popularized by Robert Fripp in the 70's: you don't play the guitar, you play the tape loop!